Clearly mark all stairways with this ADA Braille Stairs Sign. Choose from your choice of background and text colors and select from multiple backing options. • Wide variety of mounting options • Multiple background / text color choices • Square or Rounded corners • 6" x 10"
Where are the stairs? 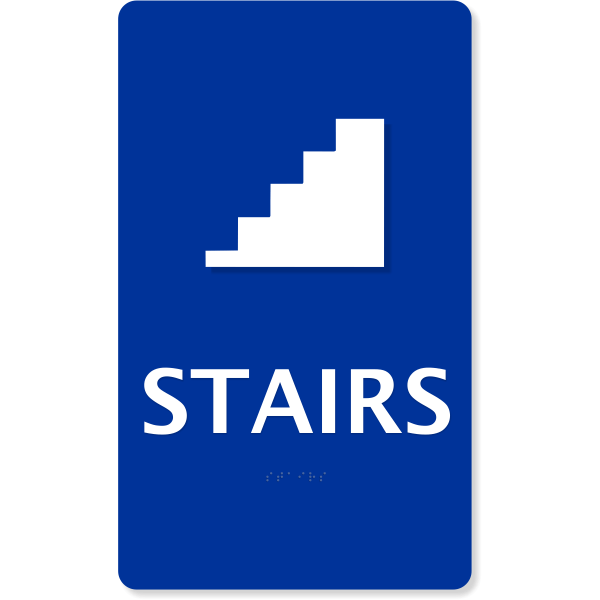 Your visitors will never wonder when your staircases are clearly marked with these ADA Braille Stairs Signs. Our compliant ADA signs are 100% current state administration guidelines. Your workplace will be a safer environment with these custom, durable signs. Choose your text and background colors from many different options and order your ADA signs here!